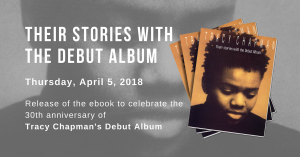 Tracy Chapman, ahead of her St. Petersburg concert on June 23, explains why she doesn’t like to be thought of solely as a folk singer in the mold of Joan Baez or Bob Dylan. Singer/songwriter Tracy Chapman discusses her musical influences. U.S. singer/songwriter Tracy Chapman, who will make her live debut in Russia this week, may be seen as a folk performer, but her celebrated songs such as “Talkin’ ‘Bout a Revolution” have nothing to do with “Blowin’ in the Wind” and the 1960s folk movement and are influenced more by great soul and R&B singers, she said in an interview with The St. Petersburg Times. “I grew up in the ’70s in a working-class African-American neighborhood and no-one in that neighborhood ever listened to white folk music, no-one was listening to Joan Baez or Bob Dylan or any of those people, so they weren’t influences,” said San Francisco-based Chapman by telephone from a New York hotel last week. “So it’s a category that has broadened to include all those different types of music… but I think it’s mainly a label that’s given by people because of instrumentation, you know, and the fact that acoustic guitar is so much associated with what is considered white American folk music. “I’d say if I was influenced by anything, it was some of the country music that my mother liked to listen to. You know, she listened to Charlie Pride, Dolly Parton, people like that. I remember seeing Glen Campbell play acoustic guitar, and Buck Owens, and it maybe that I was interested in playing guitar because of that. But I grew up listening to R&B and soul music, and gospel music and jazz, but not folk music. Chapman’s forthcoming St. Petersburg concert is part of the European leg of an extended tour in support of her seventh studio album, “Where You Live,” and her only concert in Russia. Released in September, the album, which spawned the singles “Change” and “America,” was recorded in Chapman’s rehearsal-space-turned-studio with guitarist Joe Gore and drummer Quinn, both of whom are backing her on the current tour. With Red Hot Chili Peppers’ Flea guesting on three tracks, the album was co-produced by Chapman and celebrated sound engineer Tchad Blake, known for his work with Peter Gabriel, Pearl Jam, Tom Waits and Elvis Costello. Chapman said that the album’s style was determined by the songs she had written. “Generally, I’m approaching the records in the same way, and that’s that I want the songs to dictate the tone of the record and the style of the production and the type of arrangement,” said Chapman. “It’s really about what the songs required. That’s what determines the overall feeling and sound of the record. Born in Cleveland, Ohio in March 1964, Chapman started to sing as a child at family gatherings. “Music has always been a part of my life. I started singing, I think, as soon as I could talk,” she said. “I don’t know if it’s like this in Russia, but, you know, there are some families where everyone seems to sing and whenever there’s a family gathering that everybody sings together, and so was the case with my family, so I started singing very early on, and I was interested in playing a musical instrument. My first instrument was ukulele, and then I played an organ for a bit and when I was seven or eight-years-old, I asked my mother to buy me an acoustic guitar, so I started playing guitar and writing songs at a very young age and continued to do that over the years. Chapman combined songwriting and performing in the street and in coffee houses with studying at Tufts University in Medford, Massachusetts, and graduated with a degree in anthropology, with a special interest in West African studies. Chapman became famous overnight after a performance at the televised Nelson Mandela 70th Birthday Tribute concert in June 1988, watched by 72.000 people at London’s Wembley Stadium and more than 600 million television viewers from 60 countries, including the Soviet Union. “I was honored to be there and to have added my voice to all the other voices that were asking for Nelson Mandela’s release, and the people who considered the plight of black Southern Africans and the fact that they were unable to represent themselves and take full part in their society,” she said. Chapman’s 1988 eponymously titled debut album, which yielded such songs as “Fast Car,” “Talkin’ ‘Bout a Revolution” and “Baby Can I Hold You,” went multi-platinum and won four Grammies. She took part in an Amnesty International Human Rights Now! Tour later that year. “The Amnesty tour was a tour to raise awareness about human rights and, specifically to give people information about the Declaration of Human Rights, the document signed by many countries around the world, but that was not really fully realized, and I generally think that many of the issues people see around the world these days are related to human rights. Despite her social and political commitments, Chapman opposes being seen as a political performer. “I don’t see myself as a political songwriter or protest singer, but I do write about social issues and ideas that I think touch on politics,” she said. Lyrically, she was influenced by poetry and soul and R&B singers, she said. “As a child, I was always interested in poetry and I read a lot of poetry and wrote poetry before I started writing songs, so my interest in the word comes from that, from being an avid reader,” she said. “And as someone who loves good story-telling and who appreciates the poetic use of language.